I often get messages from viewers asking for me to make makeup tutorial videos… I’m not very good at them, and I always forget to add things or do proper voiceovers to make them nice like beauty guru tutorials!! 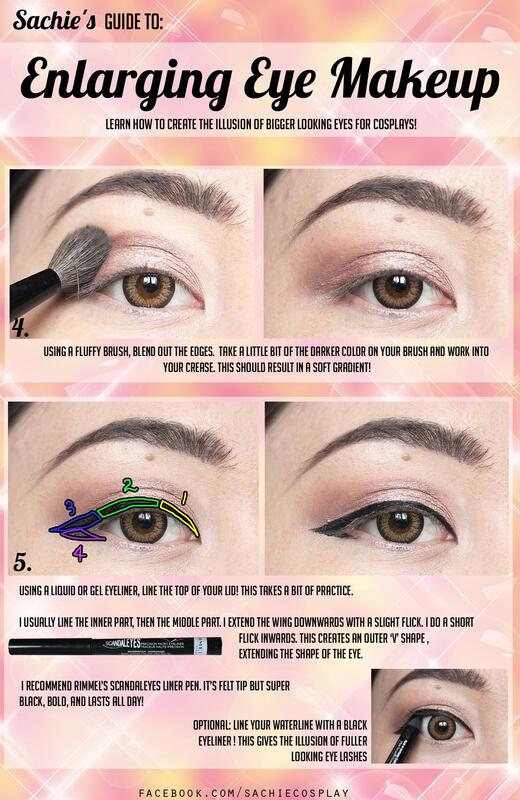 I love makeup though, so I thought I would start doing blog tutorials instead. I’m not perfect, but I’ve learned what works for me! I guess my style is influenced by gyaru makeup since I used to read a ton of Popteen when I first started out with makeup. I use this style for most of my cosplays. Feel free to save these images for references! 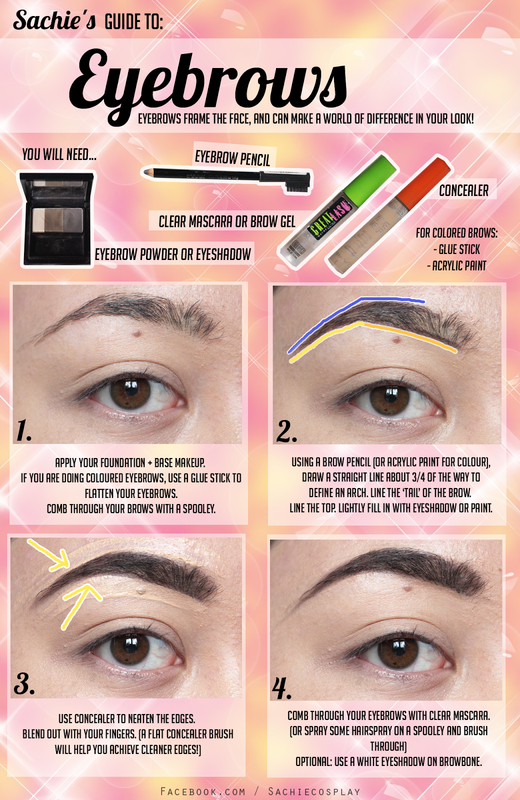 Please keep in mind that this is how I usually do my makeup for cosplay, suited to my eye shape. 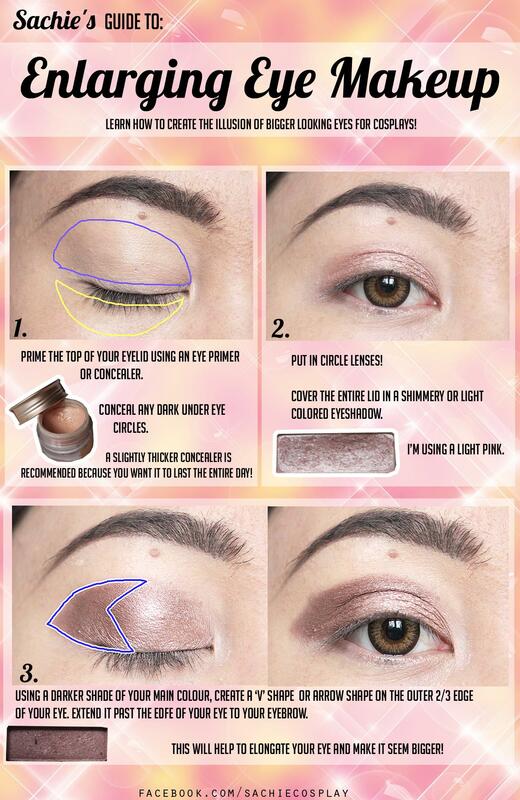 It takes a bit of practice to adapt the tutorial to suit your own eye shape! 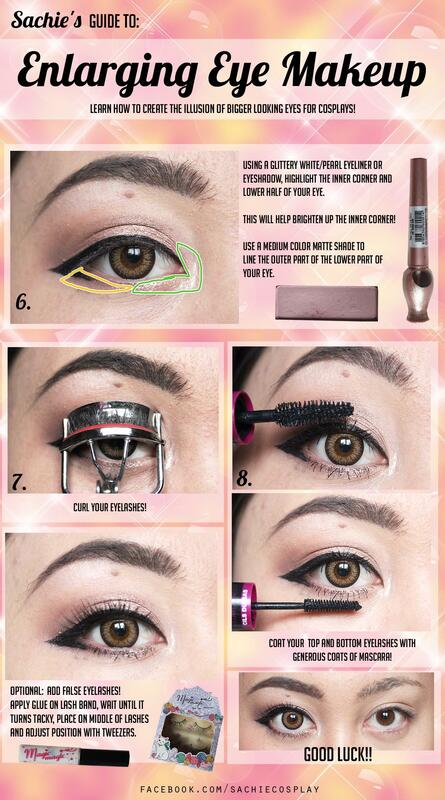 And now, the more requested eye makeup tutorial!